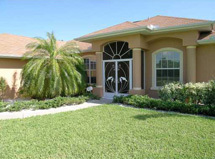 View homes for sale in Deep Creek and the surrounding Punta Gorda, FL neighborhoods. Deep Creek offers comfort and value at an affordable price. Deed restrictions that set a minimum size home and other minimum standards assure home owners in Deep Creek, FL that their investment will be secure. Search the Deep Creek, FL MLS for homes for sale in Deep Creek, FL. Use the form or map below to view property reports. You can enter your own criteria to find Deep Creek homes. You can narrow your choices to lake homes, pool homes, number of bedrooms and baths and more. Enter your price range for homes for sale in Deep Creek, Florida and find just what you are looking for.